Happy Purim! 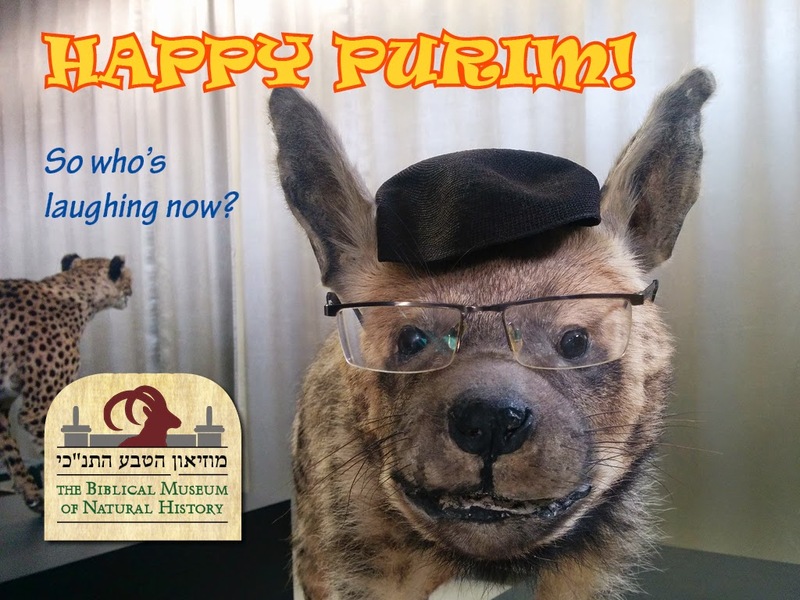 If you'd like to meet my hyena, and find out the significance of hyenas in the Torah, then join me this Shushan Purim for a tour of The Biblical Museum of Natural History at 10am! (There's also a tour on Sunday morning at 10:30.) Call 073-213-1662 or email office@tevatanachi.org to book your spot! I'm in America, but I would certainly like to find out the significance of hyenas in the Torah. I see them on youtube, and they are fascinating animals, somewhere in between dogs and cats. Well, instead of visiting the museum, you can read The Torah Encyclopedia of the Animal Kingdom! A tightly knit black kippah sruga. This must be a haredi-leumi hyena. 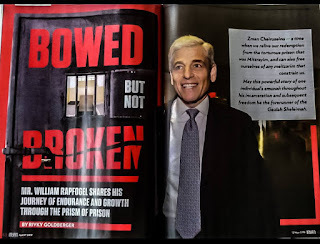 What yeshiva did he attend? I am leading for the next two weeks. But the other guides are also excellent! Rabbi Slifkin whats all this animal research about anyway? When will you mature and realise that the study of centipides will not take you very far in the next world. C'mon look at the maturity of character found by the bnei torah who forgo all this academic stuff. They see things so much deeper than you. While monkeys may be interesting to research, what will it do for you after 120? Whoops how could I forget, not providing for your family is one of the 3 cardinal sins..
"Professor Calculas", providing for ones family is huge! Chapel all believed in it. The man you mock has a niche which he developed very well to the benefit of the klal. He has interwoven his Parnassah with klei kodesh. If you are not supporting your family, and keeping your end of the kesubah, put down the kitzos and do so. Actually, the Rambam begins the Yad by saying that studying nature brings you closer to God. (It was, in fact, the first thing we were taught in Introduction to Biology at YU.) On the other hand, the Rambam never learned the Ketzos. So what would you say to him? Another point worth making--Torah knowledge, like other disciplines, has become specialized. A Rav of mine has a broad knowledge of Shulchan Aruch, but he is especially considered an expert in the laws of סת"ם. I'm sure you can find others who specialize in איסור והיתר or other disciplines. I think that it's important that we have someone who is expert in the animals mentioned in the Torah, has devoted years of his life to researching them, and can explain the pertinent laws and texts.